Ground Penetrating Radar - Hager-Richter Geoscience, Inc. : Hager-Richter Geoscience, Inc. 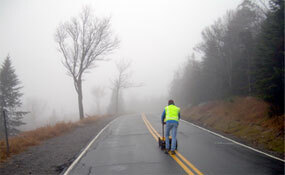 Ground Penetrating Radar (GPR) operates like other, more familiar radar systems such as police or weather radar. As the GPR antenna is moved across the surface, it transmits electromagnetic signals into the subsurface and receives reflections from interfaces in the path of the signal at which changes in the electrical properties (dielectric constant) of the subsurface materials occur. The reflections are then amplified, processed, and displayed on a screen and recorded digitally for post processing and/or printing. GPR provides a continuous profile of the subsurface. 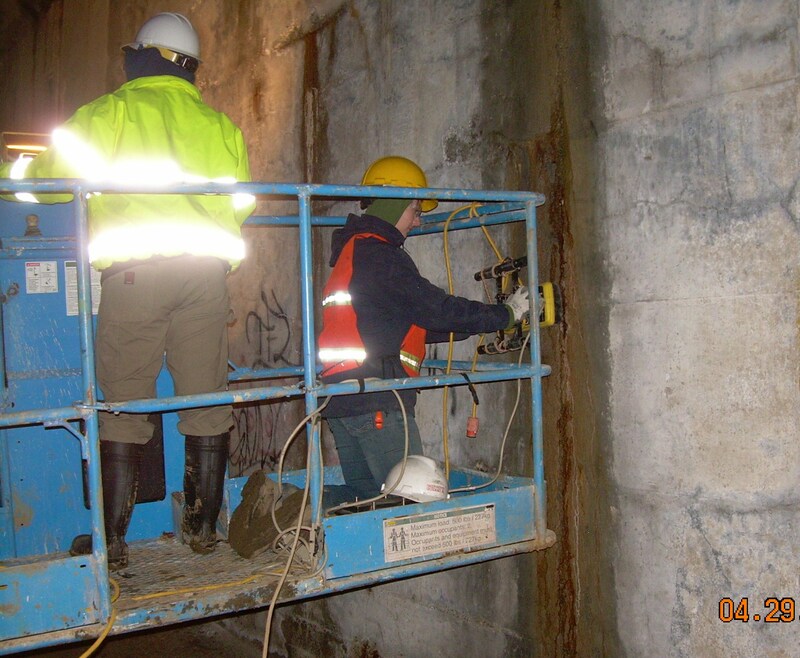 GPR allows for the acquisition of large amounts of data in a short period of time, making it a cost-effective method for many projects. 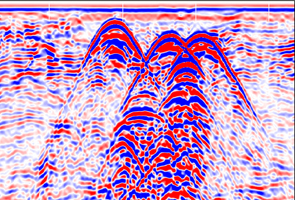 GPR is commonly used in conjunction with other geophysical techniques such as magnetic, electromagnetic induction, and seismic refraction. 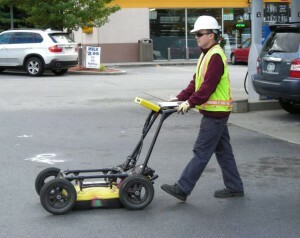 Experience and equipment are critical to derive the full benefit from the ground penetrating radar technique. At Hager-Richter, we have the experience and resources to provide you with reliable guidance and accurate data. Experience is crucial in the analysis and interpretation of GPR data, and especially in evaluating the feasibility of GPR investigations where site-specific limitations are present. Our state-of-the-art equipment complements our experience, often overcomes site limitations, and enhances the quality of our work. We own a full complement of antennas for different resolutions and exploration depths. Our real time display allows us to compensate for amplitude differences and quickly adjust our field procedures to optimize the data. Our survey wheel automatically triggers the placement of markers at equal intervals, thereby increasing the accuracy of survey distances. The processing software we use allows us to modify the way data is displayed and to filter out extraneous noise, providing us with a clearer view of subsurface conditions through profiles, time slices, and 3D imaging. A county airport authority in a Mid-Atlantic state wished to inventory all underground storage tanks (USTs), some dating back to World War II, on airport lands. The objective was to determine whether any tanks were leaking and possibly contaminating vulnerable aquifers. The number of tanks was unknown, and the 1,400-acre size of the site compounded the problem. Our client conducted a historical search that narrowed the areas for geophysical investigation to about 250 acres, on which over 100 buildings were present. We then completed the surveys in a period of three months using two geophysical techniques. The first phase of geophysical investigation was a reconnaissance magnetic survey, consisting of data collection at over 10,000 stations. In the second phase, a GPR survey was focused in areas of magnetic anomalies and near the buildings. Over 140,000 linear feet of GPR profiling located 57 USTs and documented their dimensions and depth of burial.